Scamwatch is warning consumers to beware of fake lotteries or competitions on social networking platforms, with scammers using popular platforms to pedal these empty wins. Scammers have been sending messages through social media platforms advising recipients that they have won a lottery, draw or competition. They will often pretend that they are affiliated with the social networking platform or another reputable company to make it seem legitimate. The scammer will then request personal information to confirm your identity as the winner and then claim that, in order to receive the ‘win’, you first need to transfer them money for taxes, fees or other reasons. Recently scammers have added a couple of new tactics to try and trick people into thinking they’re winners. Scammers are using accounts they have hacked to make the ruse seem legitimate to their family and friends - it looks like the message is coming from a profile they know and trust. The scammer will claim that the hacked victim has won a prize or money and that the recipient has been lucky enough to win as well simply by being their friend. They will then provide instructions on how to claim the win, usually beginning with moving the conversation away from the hacked account to another one controlled by the scammer. The scam will then continue as normal, requesting personal information and money. Alternatively, scammers will send out a short message congratulating recipients that they are a lucky winner of a lottery or competition, with a link to claim their prize. If you click on this link, your social networking profile and your device’s security may be compromised by malware that could lead to scammers hacking your account or stealing your personal information. If you receive a message on a social networking platform claiming that you have won a lottery or competition, ignore it – don’t respond, report it to the platform, and warn your friends and family. In these lotteries or competitions, the only winner is the scammer. 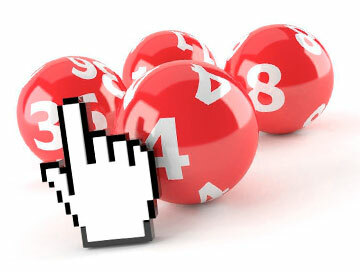 You receive a message on a social networking platform claiming that you have won a large amount of money in a lottery or competition operated or sponsored by the social networking site or another well-known business. The message may appear to come from someone within your network who you know personally or from someone who you recently accepted a friend request from. The message contains directions on how to claim your prize, which may include directing you to communicate with a new contact. The scammer will request personal information such as proof of identity. If you hand over your personal details, you will then be informed that you need to transfer money in order to receive the prize, such as money to pay for delivery. Alternatively, the message may simply include a link to claim your prize. If you click on the link, you may be directed to another site or instructed to download a file. If you pay, you will never receive the promised prize and lose every cent that you send. If you have clicked on an infected link or file, you may also compromise your social networking profile and your device’s security. Be very wary of any social networking messages out of the blue that claim you have won a lottery or competition, even if they appear to come from someone that you know. If you receive an unusual message from a close acquaintance, contact them outside of the social networking site to check their story. Don’t accept ‘friend’ requests from people you don’t know – scammers love to pose as friends to learn all about you. Never click on an unverified link, video or file, no matter how enticing it is – if you do, your social networking profile or device’s security may be compromised. Don’t be fooled – scammers will pretend to be a well-known and trusted business, such as the social networking platform, to get under your radar. Never send any money via wire transfer to anyone you do not know or trust. If you think your computer’s security has been compromised, use your security software to run a virus check. If you still have doubts, contact your anti-virus software provider or a computer specialist. Remember: you cannot win money in a lottery or competition unless you entered it in the first place. If it sounds too good to be true, it probably is. You can report scams to the ACCC via the SCAMwatch report a scam page. Report scam posts to the social networking platform that it appeared on, and help to spread the word by alerting family and friends. Unexpected prize and lottery scams work by asking you to pay some sort of fee in order to claim your prize or winnings from a competition or lottery you never entered. Subscribe for email alerts on the latest scams.